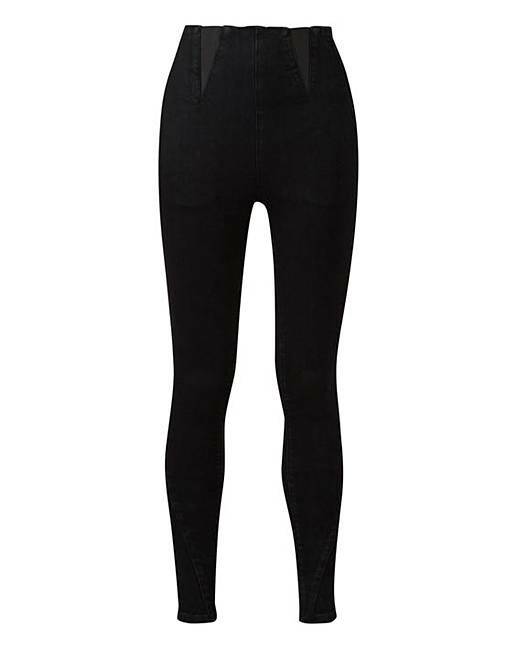 Black High Waist Shaper Jeggings Long is rated 4.2 out of 5 by 5. The ultimate curve control jegging in a super comfortable and super stretch denim fabric that fits your shape perfectly. Stylish elastic inserts along the high waistband add a chic and slightly sporty look. #YourNewFavouriteJeans. 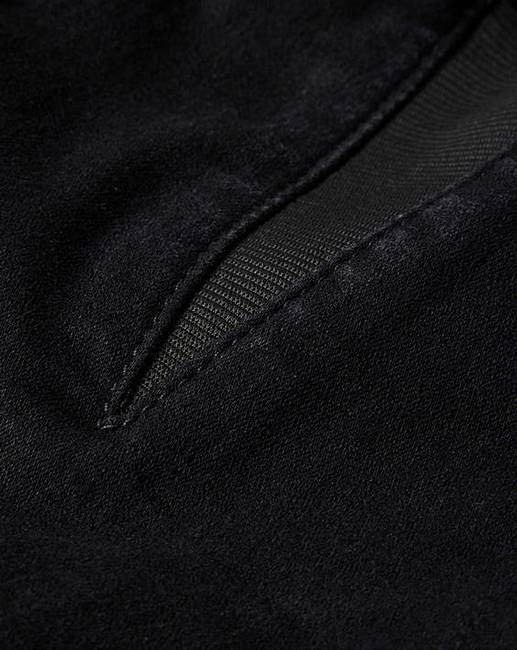 70% Cotton, 27% Polyester, 3% Elastane. Rated 5 out of 5 by Jenkjon from Fave jeggings Love love love these. So nice and high on waist . Great fit. Rated 1 out of 5 by Dp2521 from Disappointing When I got these out of the bag they looked good. They were a nice shape, I purchased the long fitting but found they weren’t very long at all. After wearing them for about 1 hour they became very baggy an kept slipping down so I returned them. Rated 5 out of 5 by Ancalin from So comfortable! So happy to finally buy a pair of jeggings that fit so comfortably and are long enough! I can finally bend without having to hold on to the waist band. They are also soft and easy to move in, the only little downside is that the colour fades quite quickly in the wash. Otherwise, would highly recommend the product. I'm in between sizes (18 and 20) and I went for a size 20. My next pair will be a size down, as I feel that would give more tummy control and would still fit well. Rated 5 out of 5 by Becca2000 from Super nice These are such an amazing fit! And make me feel really confident and there super comfy! Rated 5 out of 5 by HazeyP from At last: confidence! I love these! Only had them on for a short while but they are comfortable, they flatter so much and thank goodness they finally come in long! Please follow suit with other colours! I have major mum tum and I finally feel comfortable and confident in jeans. I’ve been buying size 16s lately to accommodate my extra tummy but bought these in 14 based on reviews and they are perfect.